Voted the #1 Live Entertainment Theatre and inspired by country super group Alabama, the Alabama Theatre is home to ONE The Show, an electrifying, live, musical extravaganza. 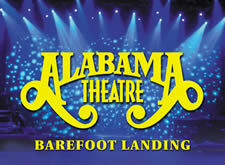 The Alabama Theatre is located at Barefoot Landing in the heart of Myrtle Beach. The all-star, talented cast stages a thrilling production with a mix of great music, dance and comedy. ONE The Show runs from February through October with The South's Grandest Christmas Show taking over in November and December. Alabama Theatre's Christmas Show has become an annual tradition with visitors and locals alike returning year after year as the show brings the joy of the Holiday Season to Myrtle Beach. On nights when the Alabama Theatre cast are not performing, the Guest Celebrity Concert Series brings many of the biggest names in Country, Pop, Motown and more to the Grand Strand. Also performing in the Guest Celebrity Series are world-class tribute artists and comedians. Coming to Myrtle Beach and want to visit the Alabama Theatre? 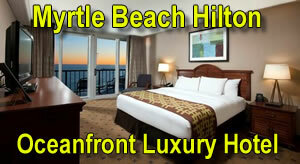 Visit our hotels or spacious vacation rentals page to book accommodations close to the Alabama Theatre for your Myrtle Beach vacation.